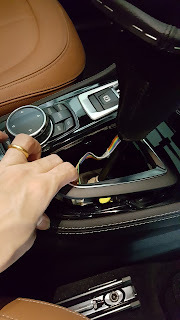 For those who are keen to retrofit your existing idrive knob to a touch version, look no further! 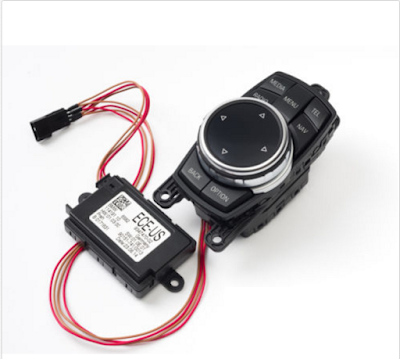 ECE touch module (BMW part number: 65829347470) Note: This is for English touch module. If you are using other language like Chinese or Japanese, you will need to use a different touch module. 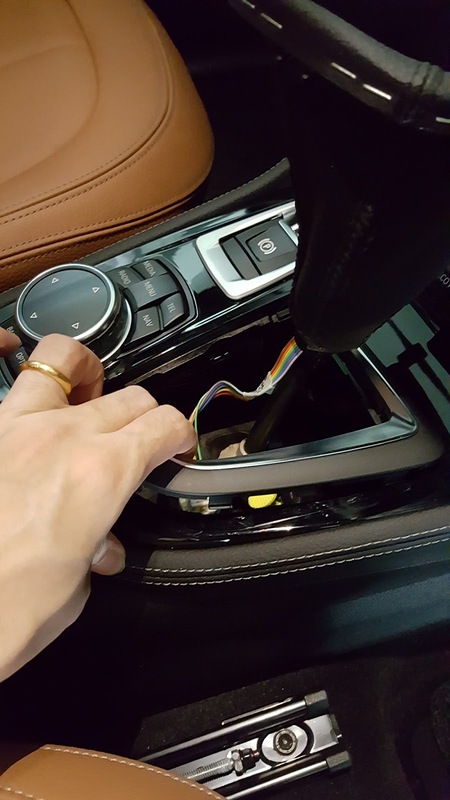 1) Shift your gear to "Reverse" or "Neutral" and switch off your car's engine. Engage your electric hand brake. 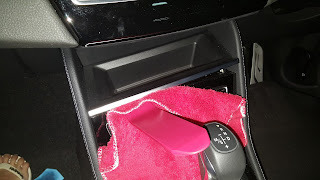 2) Ensure the electric hand brake is engaged to prevent rolling. 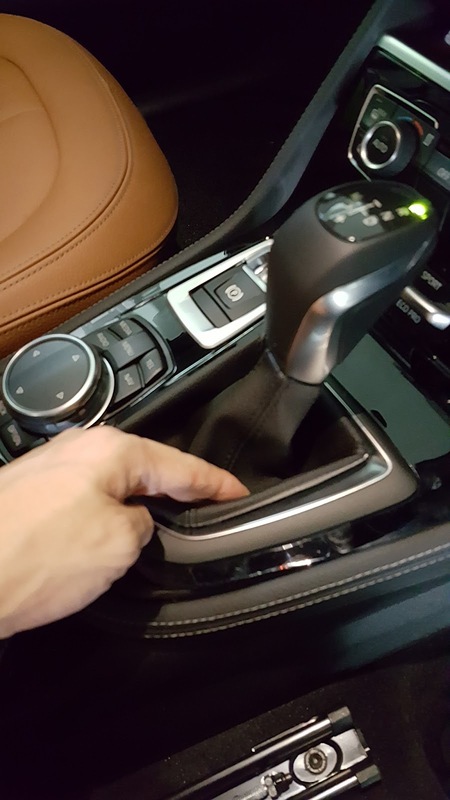 3) On your central console, use your fingers and feel the edge of the gear shifter as shown below and while pressing at the edge, pull it upwards. It will be detached and can be pulled up as shown in the second photo below. 4) Pull out the chrome linings around the gear as shown below. 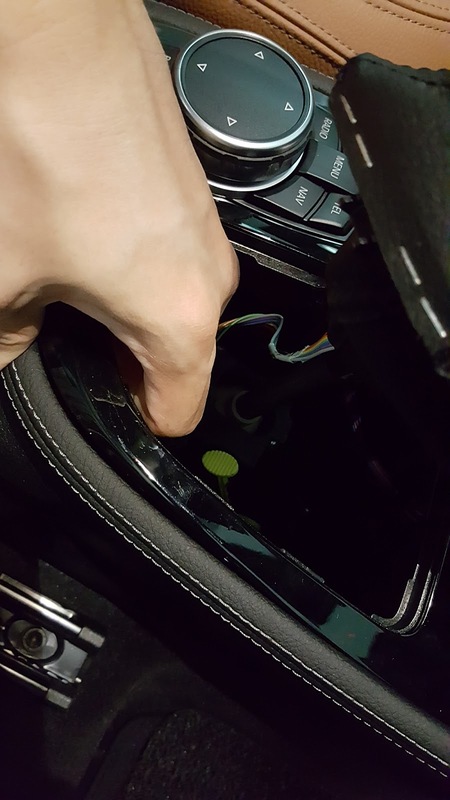 5) Now you are ready to pull out the central console. 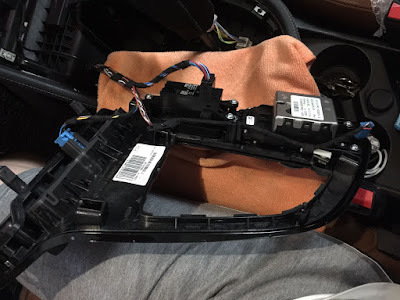 6) There are about some clips underneath the central console that can be pulled out by hand. 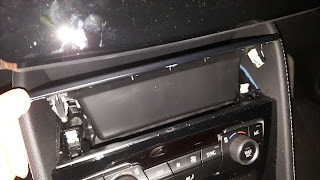 Pull the central console out slowly by focusing at the corners where the clips are. 8) Once the top cover has been removed, you will see one clip on both corners. Loosen them by using your fingers to press on the clips and lift the piece up together at the same time. You can use a cloth to cover the clips before attempting to unlock them. 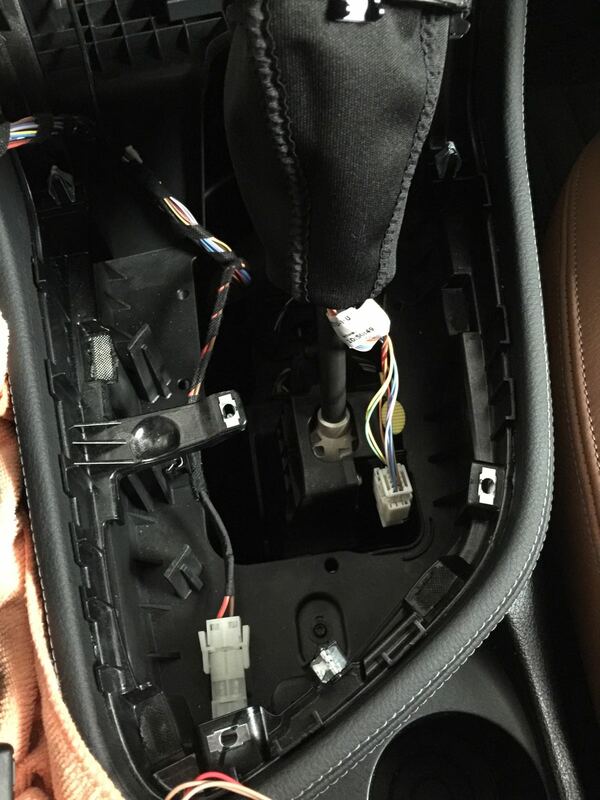 9) Do remember that there are wires attaching to the central console. 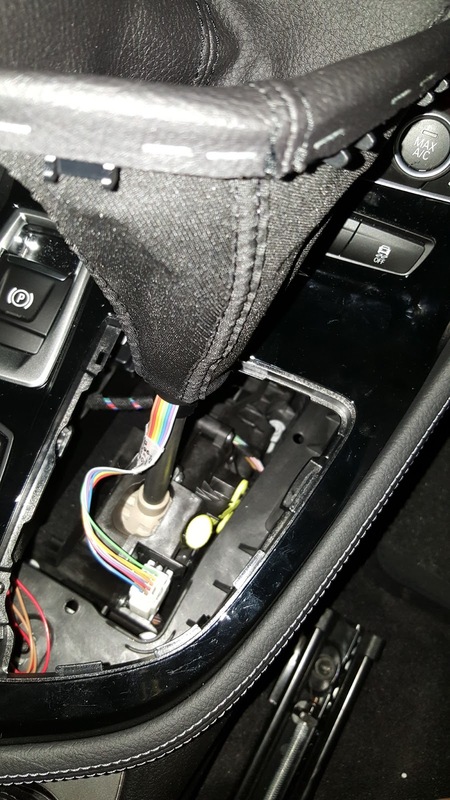 Slowly lift the central console up and reverse it to unscrew your iDrive knob from the screws and replace it with your new touch iDrive knob together with the ECE touch driver module. You can use a double sided tape to attach the ECE touch module inside the console compartment. 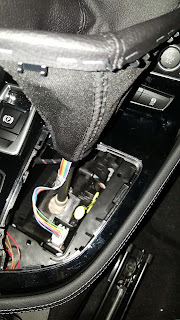 Observe the green colored connector below. It is plugged back to the original blue connector. Remember to make sure that the connectors fit properly. 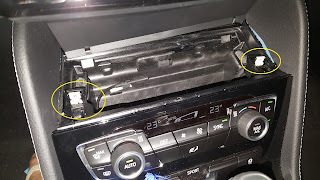 One common error is the connector are plugged in reverse position. 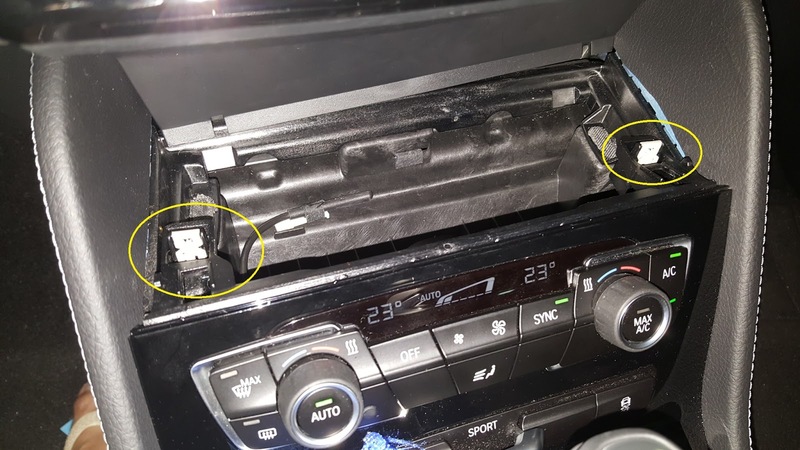 You have to make sure that they are plugged in to the connector properly and snugly. Note: If the touchpad still does not work after the coding, you can try swapping the connectors to the touch iDrive and the US-ECE (or other language) module box. Hello! 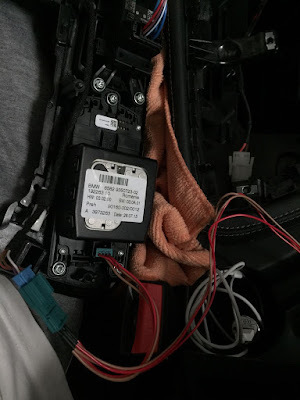 Where do I find the y-harness? I can't seem to find it on eBay for example? Where did you get that Brake Switch in chrome? Any idea how to fix this ? 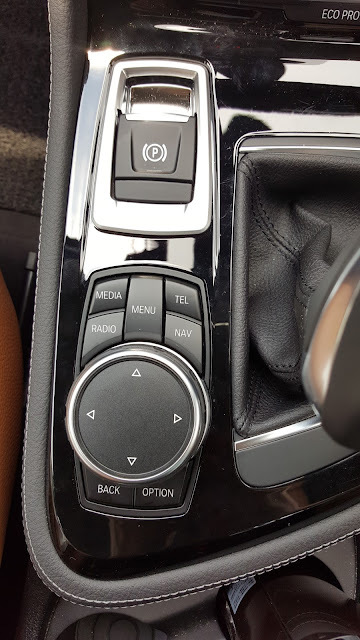 Have code some options in FA?